Turmeric has got its own its own values from ancient times in terms of health and beauty. Due to its medicinal values, we use turmeric in some or the other form in our day-to-day cooking. Apart from this, all of us know that turmeric is the main ingredient in various beauty products like cream, lotion or face packs. 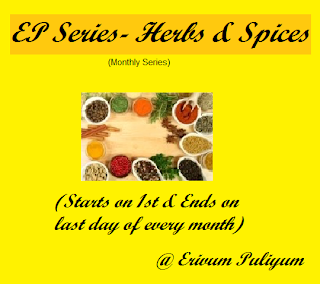 Also, turmeric is good medicine for different types of allergy and infections and hence, is the main ingredient in various Ayurveda medicines. If you prepare a list of its uses, i think it will be end-less! My mom had brought some raw turmeric pieces for us during her last visit. Always I tasted the Turmeric Gojju prepared by mom or my MIL, but I didn't knew the recipe of this Gojju! These turmeric pieces gave me an opportunity to learn this Gojju recipe :) Just followed my mom's instructions, and it came out super delicious! 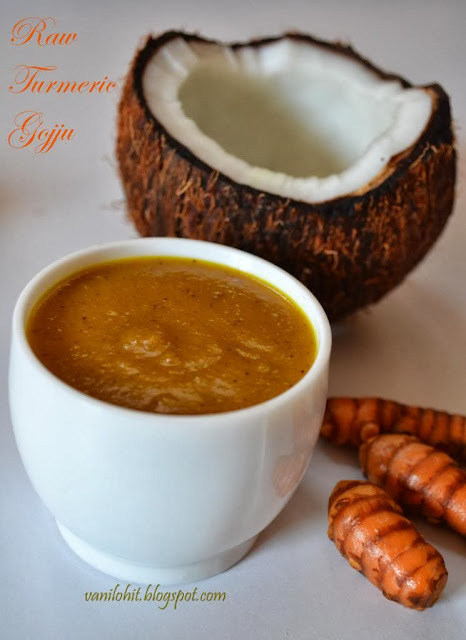 This healthy and tasty Gojju goes well with rice. If preserved in refrigerator, it will last for at-least a week. Wash and clean the turmeric pieces and prick them with a fork from all the sides. This will help to cook them nicely. 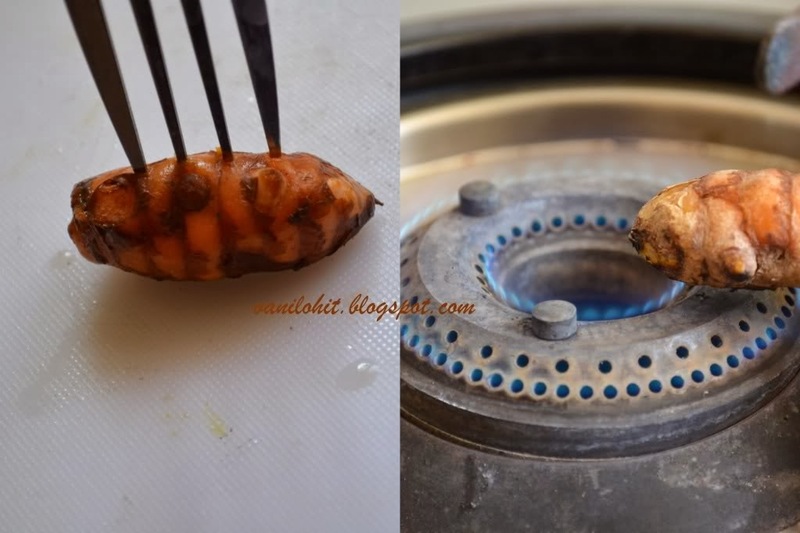 Cook these turmeric directly on the flame (as shown in the picture) for 4 - 5 minutes or till they are slightly soft. Otherwise, pressure cook them with little water. Wash the turmeric pieces and remove the skin, which has turned black. Chop the turmeric finely. Heat oil in a small wok and roast the pepper corns till you hear the crackling sound. Then add the urad dal, mustard seeds and sesame seeds and roast them nicely. 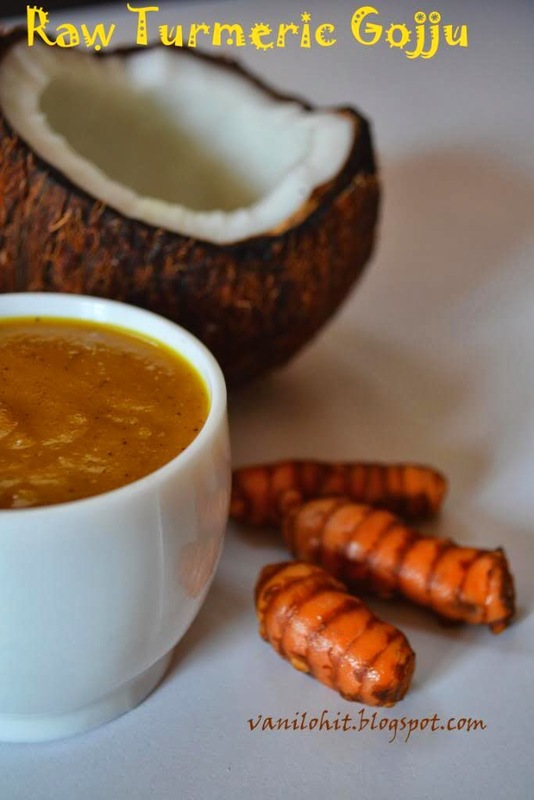 Grind the roasted ingredients along with turmeric pieces, grated coconut and tamarind using little water into fine paste. Transfer the ground paste to a pan and add salt and jaggery (and sugar) for taste. Boil it for 5 minutes or till it thickens. 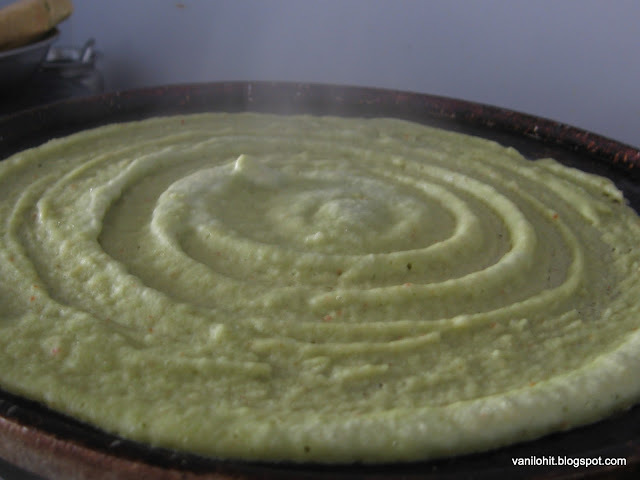 Try this delicious and aromatic Gojju along with rice! This Gojju will remain up-to 2 - 3 days if not refrigerated. If refrigerated, it will last for at-least a week. I was planning to prepare cupcakes at home from long time. 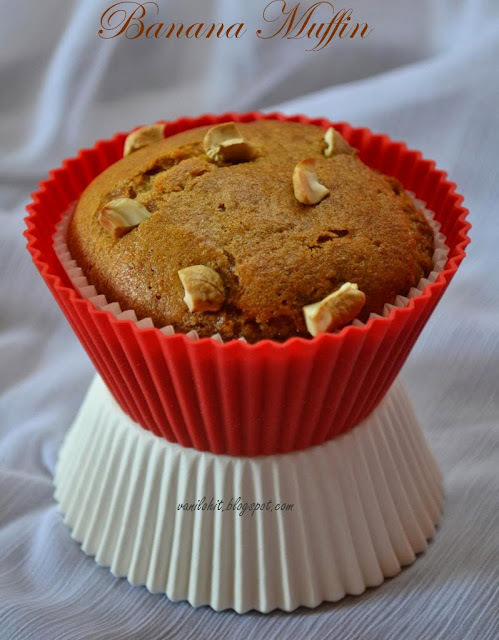 I bought muffin moulds few months back and couldn't use them any time. Finally, I could use them for baking my muffins last week! 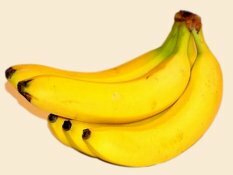 I had few ripened bananas, which I couldn't finish off. So, just thought of using the same for the muffins! Ahh, my first experiment with muffins was a big success! <:-P It was so aromatic and delicious, and especially I loved the texture very much. I prepared only 5 (in fact bigger ones!) muffins and it got sold like anything! 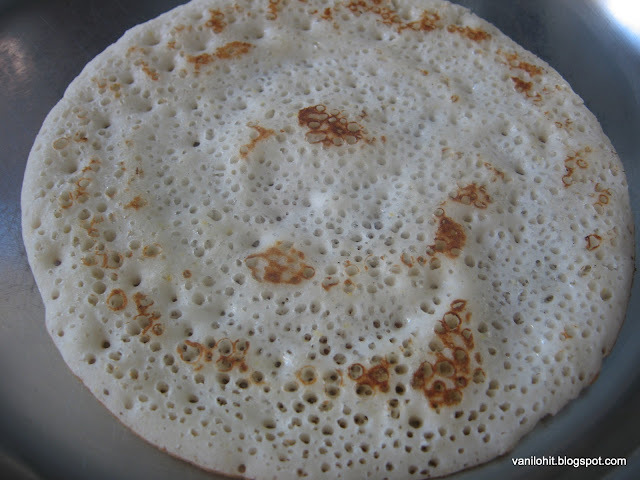 But this is really a stomach filling dish since its made of bananas and all purpose flour (maida). We had it as evening snacks, but I thought it will be good for breakfast or for kids snacks also! Sieve all purpose flour, baking powder and cooking soda. Transfer the sugar into the mixer jar and make a fine powder. Pre-heat the oven to 190 °C / 380 °F temperature. Cut the bananas into medium size cubes and blend them in mixer into fine paste. Don't add any water. Transfer the banana paste to a mixing bowl, add powdered sugar and mix well. Then add baking powder and cooking soda and mix it lightly. Let it rest for 2 - 3 minutes. By that time, it will form bubbles and you can notice little bit increase in quantity. To this, add cooking oil and vanilla essence and mix it lightly. Add all purpose flour little by little and mix the dough slowly without lumps. Don't mix it too much otherwise, muffins won't puff up nicely. 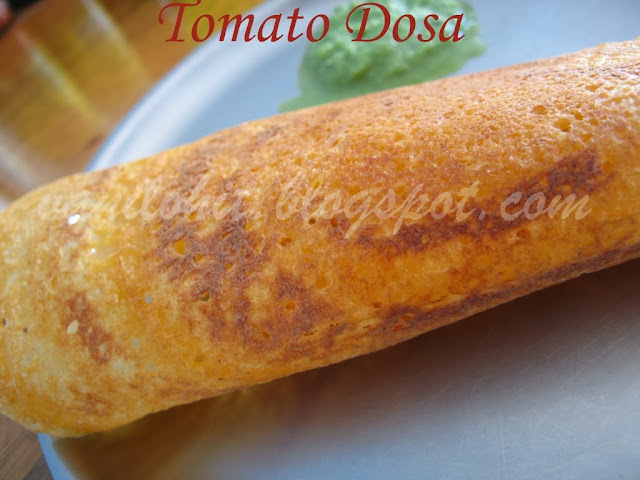 It is important that the batter should be little thicker than regular dosa batter. If the batter looks too thick, you can add some milk to adjust the consistency. 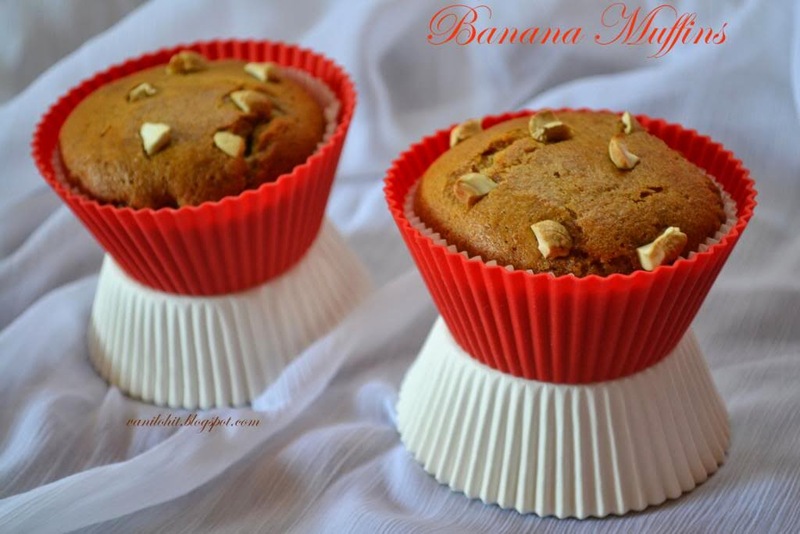 Arrange the muffin moulds and cover them with paper muffin cups. Now, fill the muffin cups with the batter up to 3/4th level. Once you put them for baking, muffins will puff up and cover the whole cup. Garnish the muffins with cashew pieces on the top. Bake the muffins on pre - heated oven for about 20 - 25 minutes. Mine got done exactly at 23 minutes. To check whether muffins are done, insert a toothpick or knife into the muffin. If the batter is not sticking to the toothpick, its the sign that they are done! We both love to have different varieties of pickles, gojju and thokku as a part of our lunch and dinner. More than me, my hubby loves them a lot :) So, surely I will make some time to prepare these tangy and spicy preservatives at home. Take the raw tamarind and remove the outer skin, seeds and fiber content. Huh, this is really a time consuming process and took me more than half an hour! Grind the cleaned tamarind pieces along with other ingredients to a fine, thick paste. If the quantity is more, you can grind them easily without adding water. But mine was little less, hence added 1 spoon of water while grinding. 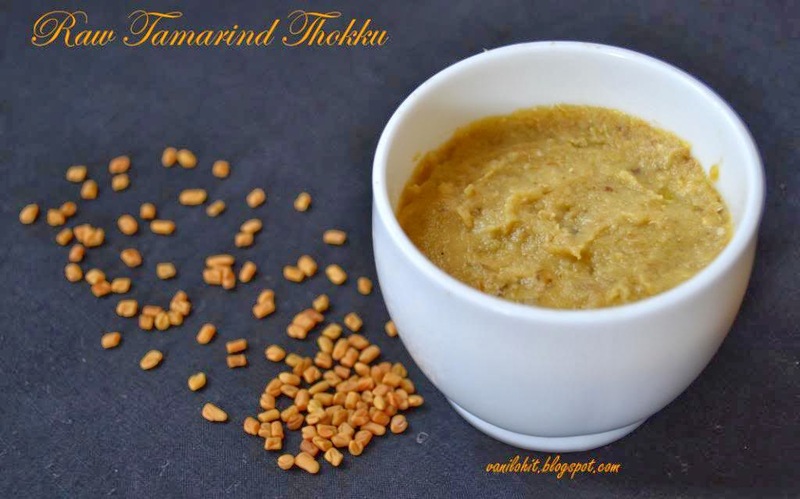 Preserve this Thokku in a plastic or glass container. It will be good for 2 - 3 months if refrigerated. If not refrigerated, it will last for 15 days if no water is added. It can be served as pickle also. 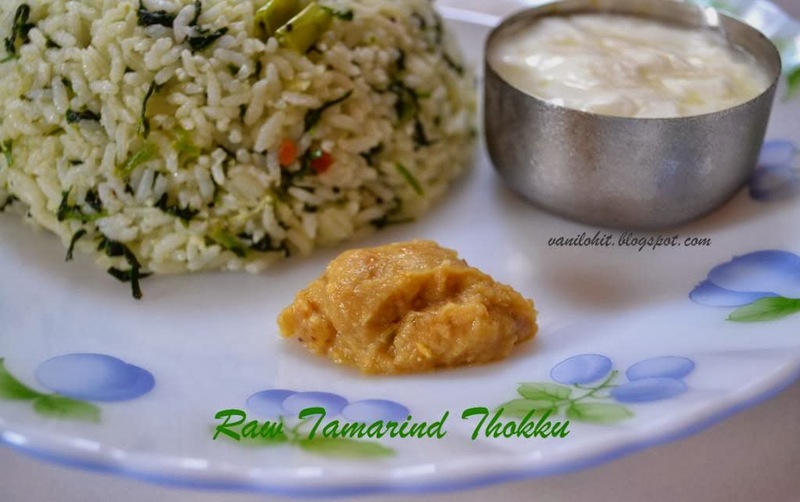 Just try half a spoon of thokku along with rice. Mix it well and add few drops of coconut oil if you like..it tastes heavenly!! 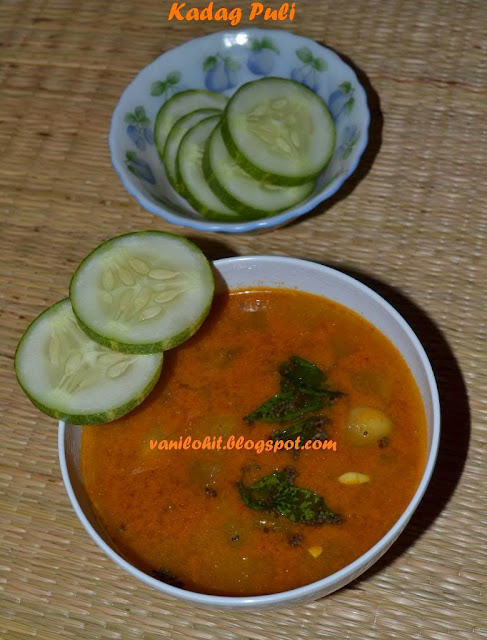 Green chillies can be substituted with dry red chillies also for this Thokku. Adding of small green chillies known as Chooru menasu or Nuchchu menasu will give a very nice taste and flavor to this Thokku. 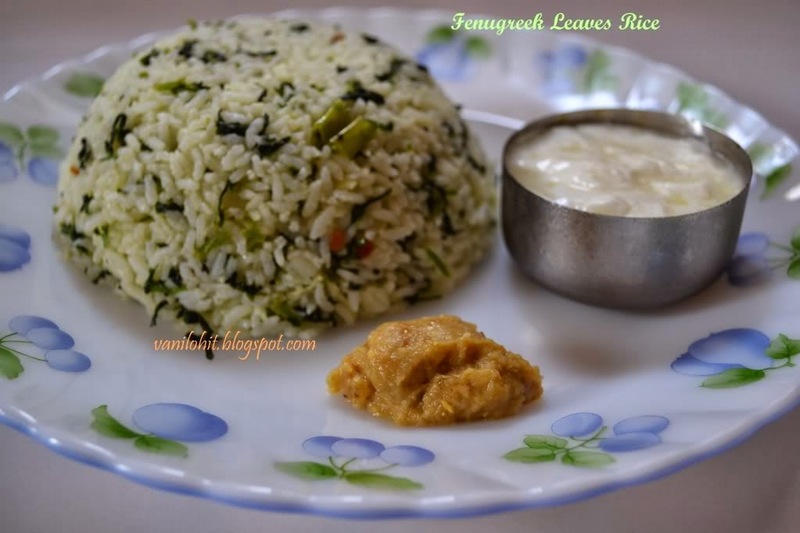 Whenever we bring Fenugreek (Methi) leaves to home, I am sure to prepare this rice variety! My hubby also loves to have this dish anytime :) Last time when we had been to groceries, I had got few bunches of fresh methi leaves. I prefer using the leafy veggies first and never refrigerate them for long time. One bunch, I used for preparing parathas this time. 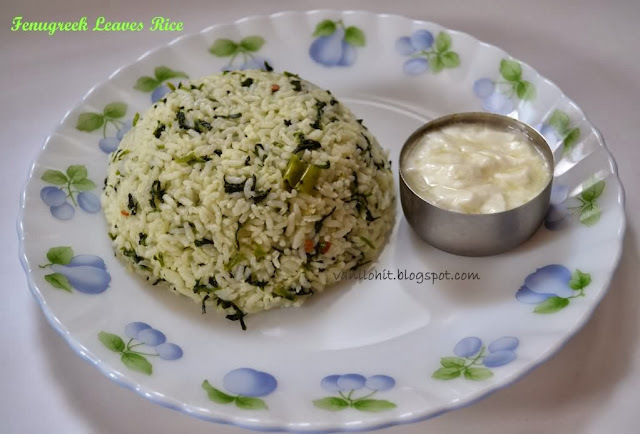 Then, I prepared Fenugreek leaves rice next day for hubby's lunch box. Here is the recipe for simple and delicious Fenugreek Leaves Rice. Hope you like it! Cook the rice with 2 cups of water. 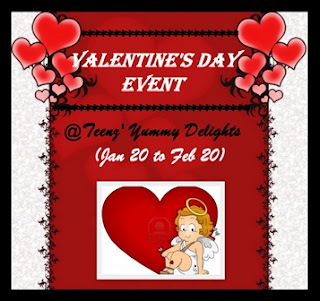 Don't make it mushy mushy. Spread the cooked rice on a plate and allow to cool. Wash the fenugreek leaves and chop them finely. Heat oil and ghee in a heavy bottom pan. Add urad dal, mustard seeds. Once you hear the spluttering sound, add the chopped green chillies and saute for a while. Add the chopped fenugreek leaves and roast them on low flame for 7- 8 minutes. Then add the rice and grated coconut. Mix it nicely till rice and coconut are heated up and switch off the flame. Add salt, sugar and lime juice for taste. Mix it well and check the taste. Tasty rice is ready to serve now! You can have them as it is or with curd and pickle. 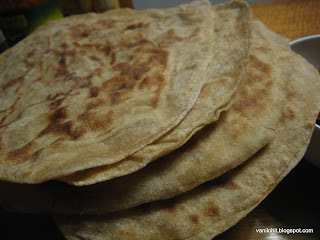 Usli means a kind of kosambari. This recipe can be a healthy evening snack or even a combination curry for chapati. Also, it will be prepared as 'prasadam' on the occasion of Tulasi maduve / Karthika in my native. Many people use Kabuli chana instead of black bengal gram for this recipe. Wash the soaked bengal gram and cook it in a pressure cooker with sufficient water and a pinch of cooking soda for 3 whistles. Take the cooked bengal gram out and drain the water. Heat 1/2 tsp oil in a thick bottomed pan and add the masala ingredients one by one and roast them. Make a coarse powder out of it. 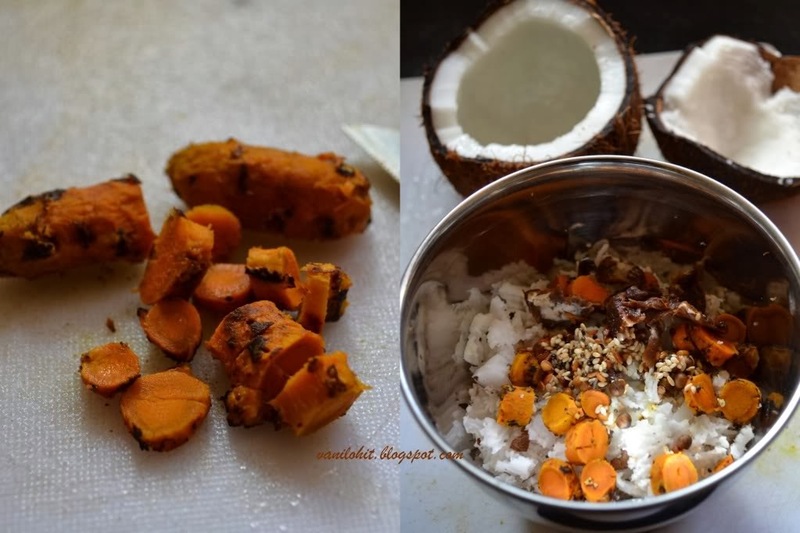 Add shredded coconut and blend it for few seconds. Heat rest of the oil in the same pan and add mustard seeds. When it splutters, add cooked gram, prepared powder, salt, amchur powder, sugar, 4 - 5 curry leaves and little water. Cook it for few minutes to get a proper consistency. Your healthy snack is ready for eating. Also, it can be used as a side dish with roti or chapathi. 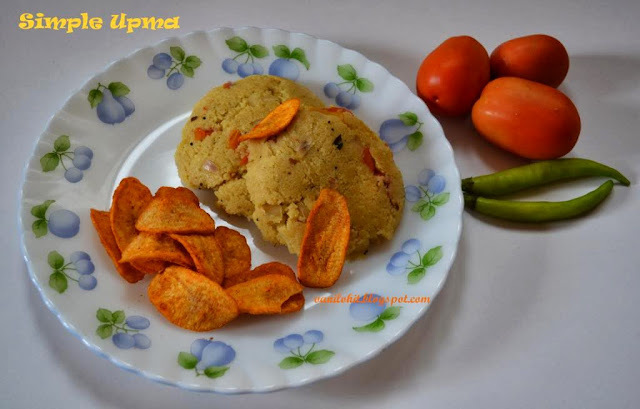 I just do not know why many people do not like upma and call it sarcastically as 'Concrete'! If the rawa is not roasted properly, no doubt, the upma will look like concrete :D In my opinion, if you roast rawa properly and add vegetables, you can prepare a 'superb' upma. Anyways, leave it! 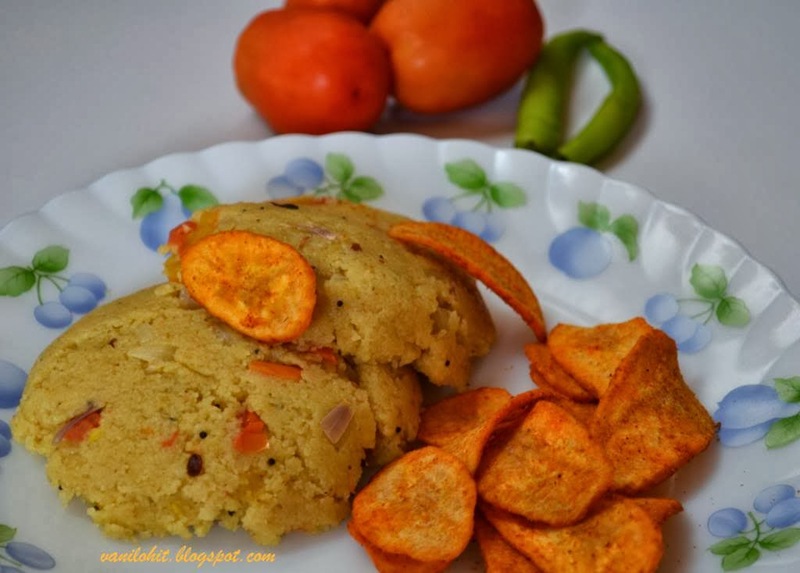 Here is a different upma recipe which is prepared using bread pieces. It suits for breakfast as well as evening snacks. It won't take much time to prepare and never it will be a concrete! Chop green chillies and onion. Make small bread pieces out of slices. Heat oil in a pan and add black gram, mustard seeds. When Mustard seeds splutter, add turmeric powder, chopped green chillies and chopped onion and stir for a minute. Now add bread pieces , salt, sugar, lime juice and sprinkle 1/4 cups of water and mix well. Close the pan with a lid / plate and cook for 5 minutes. Garnish with coriander leaves. It will be tastier if eaten hot! 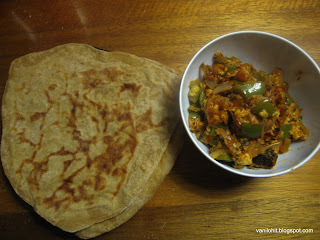 This is the third akki rotti recipe I am posting in my blog; I learnt it from one of my Mangalore friends. 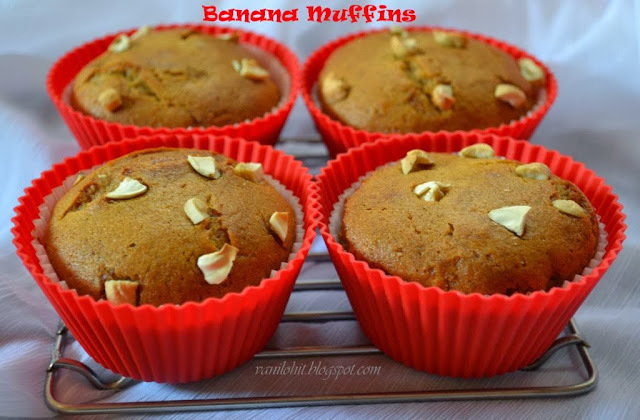 This recipe is very much suited for breakfast and even for lunch box! Heat water in a pan and close with lid. When the water becomes warm , add oil, salt, chopped coriander leaves and chopped onion to it. Once the water starts boiling, pour rice flour in the shape of a cone and close the pan half - way with lid. Do not mix the flour and let it cook for 8-10 minutes on medium or low flame. After 8 - 10 minutes, mix the flour nicely and allow to cool. Make lemon sized balls from the dough and pat them like rottis on greased plastic sheet. Make a hole in the middle. Cook it on both the sides on a hot tawa (with oil , if you wish). 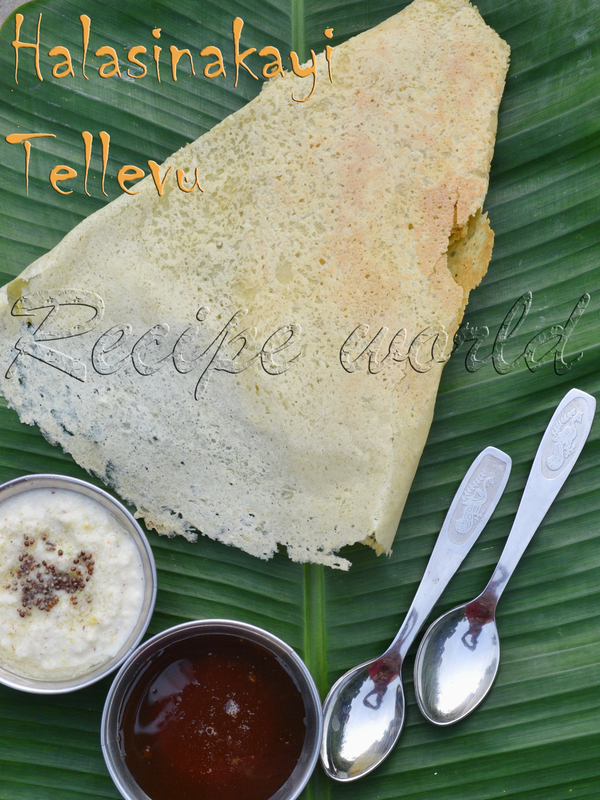 Enjoy this rotti with coconut chutney! P.S: You can substitute dill leaves with coriander leaves for this rotti. This is another old posting from my Kannada blog. This recipe is one of my husband's favorites. This chapathi is soft, multi layered, sweet and the most of all ..tasty! If you want to prepare this for breakfast, you can prepare it in the previous night itself as it takes more time for rolling ;) This chapati is suitable for picnics, lunch box etc..
Make a soft dough by mixing the flour with warm water and salt. Add 2 tsp oil and mix well; keep it covered for 10 minutes. Then, make lemon sized balls from the dough and roll into circle shape. 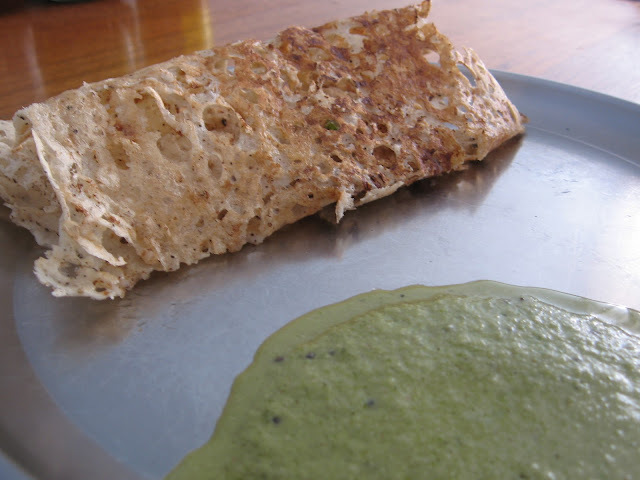 Apply some ghee on one side of the rolled chapathi and sprinkle some sugar on it. 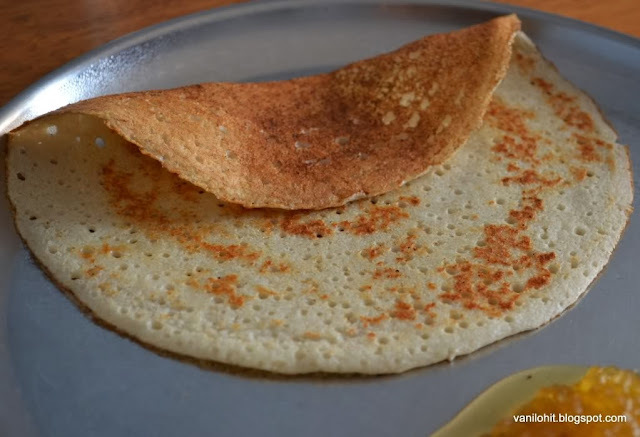 Fold the chapathi like a semicircle, apply ghee and sprinkle some sugar. Fold it again as triangle. Roll it again into a circle and cook both sides on a hot tawa. 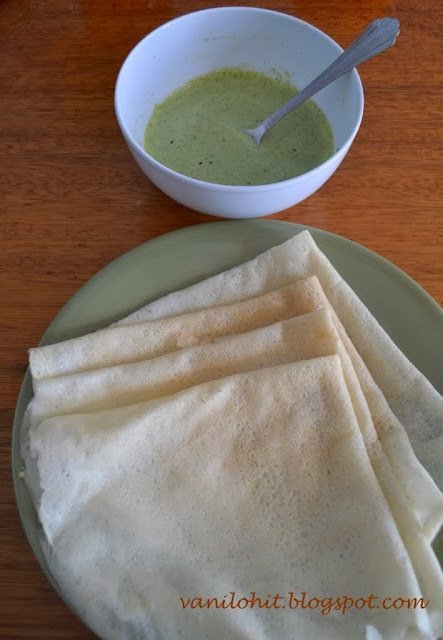 Delicious chapathi is ready now!! You can eat it with any of your favorite side dish. Very rarely I prepare upma at home; coz we both have a dislike towards upma, may be due to hostel life! 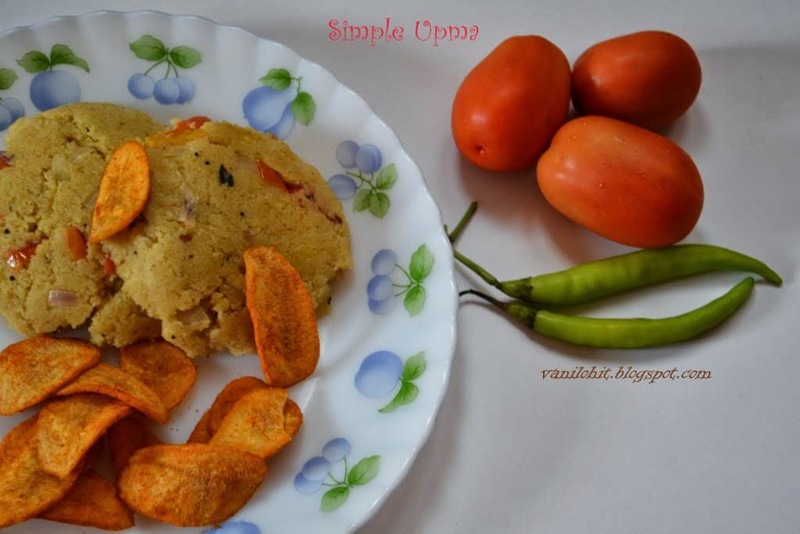 :D But sometimes, we would love to have this easy upma prepared in my native style. This upma will be done using only tomato and onion. May be the name Tomato Upma suits for this recipe ;) This upma is ideal for breakfast as well as evening snacks. Chop the onion, tomatoes and green chillies and keep them ready. Take around 4 cups of water in a vessel and bring to boil. Roast the semolina in a heavy bottom pan till light brown and allow to cool. Transfer the semolina to another vessel and heat the heavy bottom pan. Add oil and do the seasoning with urad dal, mustard seeds, turmeric and curry leaves. Add chopped green chillies to the seasoning and saute for a while; then, add the roasted semolina, chopped tomato and onion and saute for 3 - 4 minutes. To this, add 3 1/4th cup of hot water and mix it well. Close the pan with a lid and allow to cook. Open the lid after 2 minutes and mix it nicely. Add salt, sugar and lime squeeze for taste. Add grated coconut and mix well. If needed, add little more water and cook it for 2 - 3 minutes. 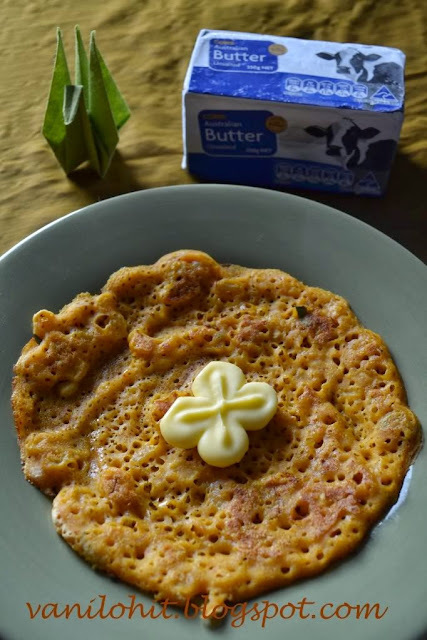 To get a nice aroma, you can add 1 spoon of ghee when it is almost done. Enjoy warm upma with a cup of hot tea! Coming back to the recipe, Kadag Puli is a kind of sambar or curry which goes well with rice. Since we won't add any lentils to this sambar, it won't take much time to prepare. Adding of cucumber will give a nice aroma and taste to this Kadag Puli. Peel and cut the cucumber into small cubes. Add 1 1/2 cup of water and cook it on medium flame. Grind the grated coconut, mustard seeds, red chillies, turmeric, tamarind, asafoetida, washed rice, sugar / jaggery and salt into fine paste. Once the cucumber is cooked nicely, add the ground paste and allow to boil for 4 - 5 minutes. If needed, add water to adjust the consistency. Heat oil in a small wok and do the seasoning with mustard seeds and curry leaves. Add this seasoning to Kadag Puli. Check and adjust the taste. You can add few drops of lime squeeze for taste. 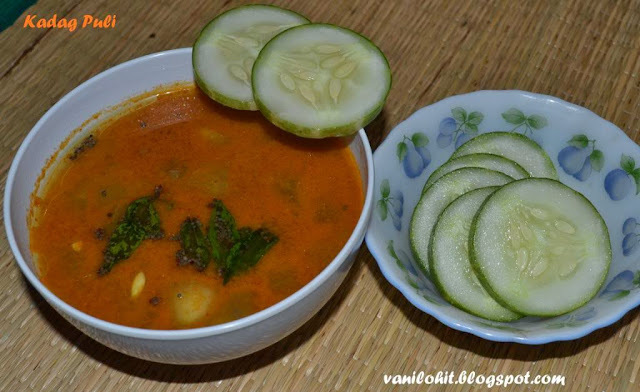 Serve this Kadag Puli with hot rice! For this recipe, cucumber can be substituted with Ash gourd also.